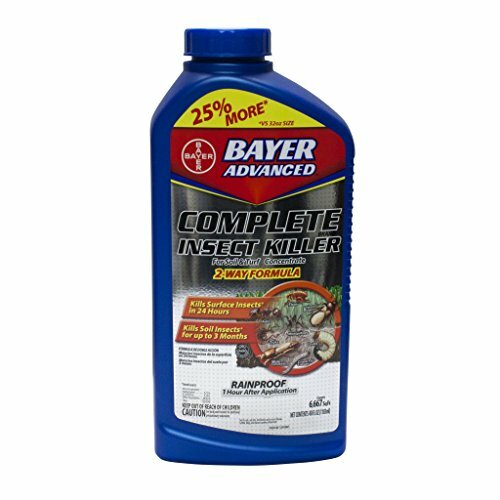 Bayer, 32 OZ, Complete Insect Killer For Lawns Concentrate, Works Above Ground To Kill Fleas, Ticks, Ants, Chinch Bugs, Cutworms and Other Listed Insects, Controls Sub Surface Pests Like Grubs, Mole Crickets, European Crane Fly, Kills Surface Insects On Contact, Protection Lasts 90 Days, Active Ingredients Beta Cyfluthin and Imidacloprid. If you have any questions about this product by Sbm Life Science, contact us by completing and submitting the form below. If you are looking for a specif part number, please include it with your message.